What Is Aura Photography & How Do Aura Cameras Work? How Does An Aura Camera Work? Aura Camera / How Does An Aura Camera Work? 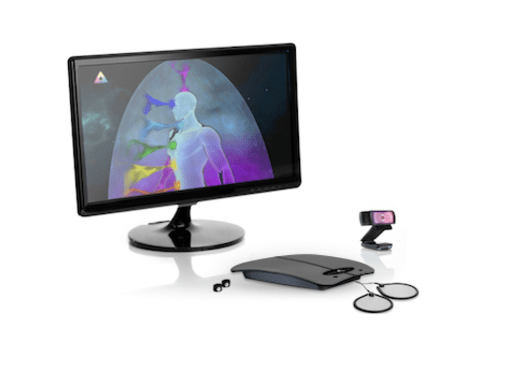 The AuraCloud 3D is an interactive, multimedia aura imaging computer system that helps explain and demonstrate what are auras. The aura machine is built on the beliefs and studies of aura-energy, color analysis, and chakra knowledge. In short, it is a computer-based camera system that collects data from a hand sensor and using proprietary algorithms it shows our interpretation of aura and chakra depictions on a monitor as well as in printed reports. How do our aura cameras work? Sit in front of the aura camera: This allows the camera to capture your image while you access the sensor. Your aura image appears on the screen: The aura image is displayed on-screen. Auras and chakras will change in real-time. Once you have finished the simple three-step process, you have the option of printing reports for yourself or your client. You can print many different high-quality aura-chakra reports in multiple languages.